Cradle Mountain is located in the Cradle Mountain – Lake St Claire National Park and is home to ancient rainforests and alpine heathlands. 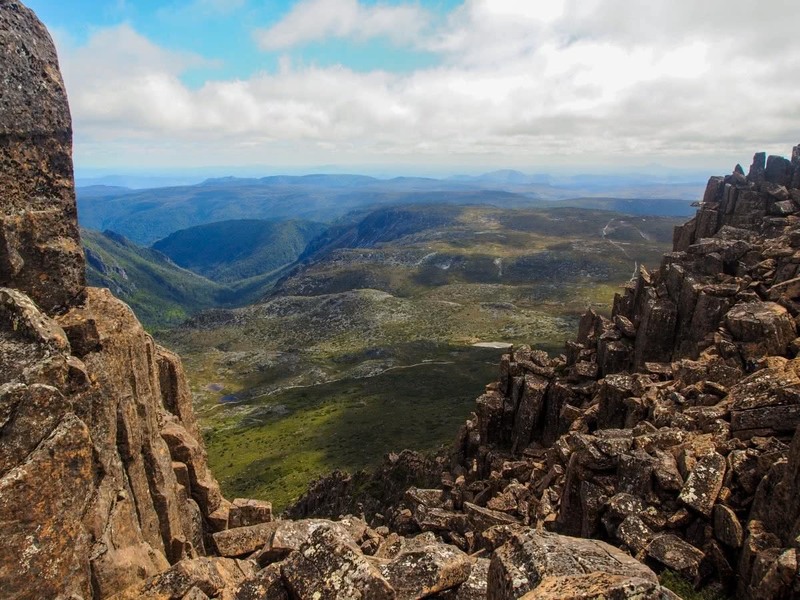 Formed by glaciers some 10,000 years ago, Cradle Mountain looks as if it hasn’t aged a day. The jagged contours of the Cradle Mountain summit loom high above the surrounding alpine lakes dominating the landscape. 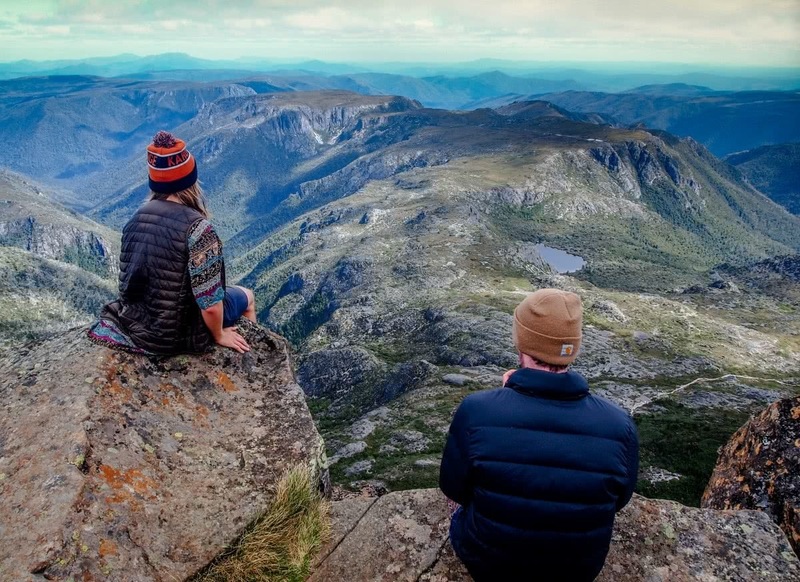 With one look at Cradle Mountain it comes as no surprise that it was listed in 1982 as an area of world significance due to its unsurpassed natural beauty and pristine wilderness. The Dove Lake Circuit takes 2 hours is a great introductory walk that leaves right from the Dove Lake car park. 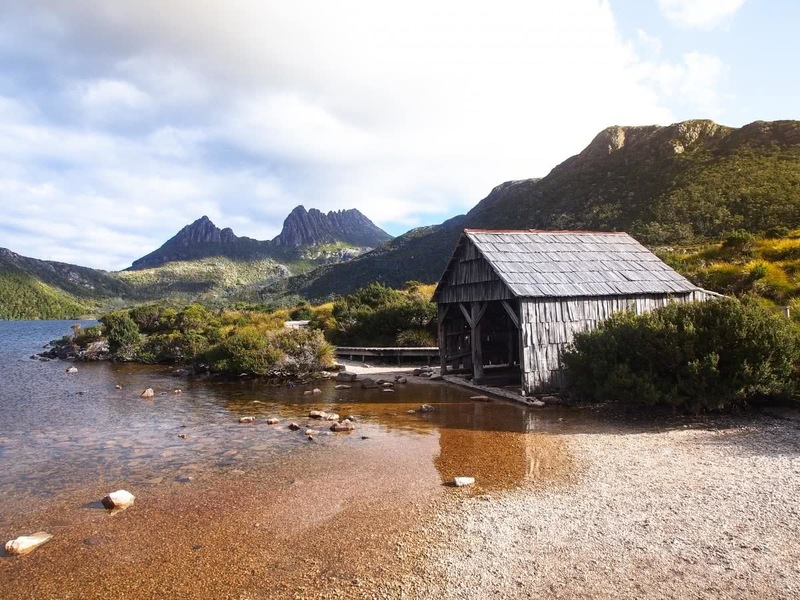 The walk is best completed in a clockwise direction, passing under the shadow of Cradle Mountain through stands of ancient pines, past the iconic boat shed before returning to the starting point. The climb to the summit offers the most scenic views and passes through the widest range of environments but should only be attempted by well-equipped, experienced walkers (allow up to 8 hours return). Starting from Dove Lake the track climbs steeply up to Marion’s lookout which is a perfect spot to catch your breath, strip off some layers and gain a new found appreciation of the landscape from the higher vantage point. The track continues northwards undulating with the plateau’s pristine streams and lakes to the base of the Cradle Mountain. The hike to the summit is not for the fainthearted and is appropriately rated 5/5 in terms of difficulty. The climb involves rock hopping, scrambling over boulders and steep drops that, in my opinion, make the views from the summit all the more rewarding. 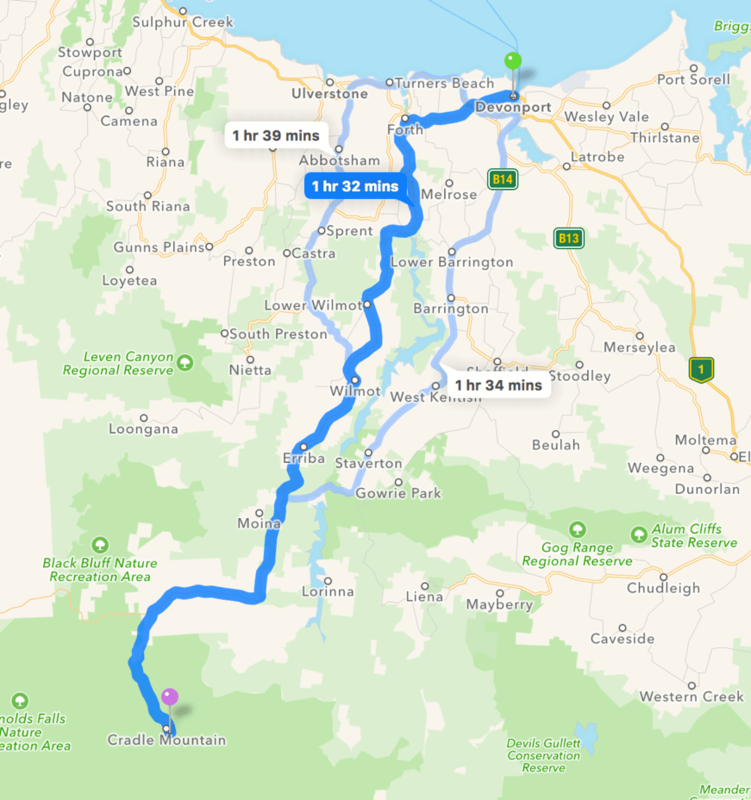 From Devonport the fastest way to Cradle Mountain is to head west along Forth Road before taking Wilmot Road southwards toward the township of Wilmot. From Wilmot take Cradle Mountain Road which leads all the way to the Parks Information Centre and the Dove Lake car park. The journey takes up to 2 hours and is accessible to all vehicles. It is important to leave early from Devonport if you are planning on summiting Cradle Mountain in a return day trip. Alternatively, you can stay nearby the information centre in one of the several lodges. The skill level varies depending on the walks you decide to do at Cradle Mountain. The shorter walks are accessible to most able-bodied people, small children and large groups. The summit walks and other longer trails require a high level of skill and can even test some of the more experienced walkers. Cradle Mountain Summit: 12.8km and 645m gain in elevation starting at 900m and climbing to a maximum altitude of 1545m. Thanks Ross – Seamus takes a mean photo!